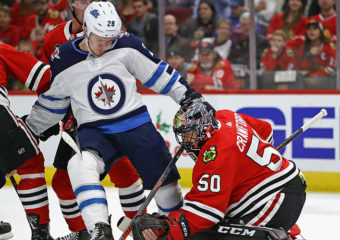 The Winnipeg Jets begin their final road trip of the regular season tonight when they meet the Chicago Blackhawks at United Center…The Jets are coming off a 1-3 record during… Continue reading "Game Notes: Apr. 1 at Chicago Blackhawks"
Montreal Canadiens at Winnipeg Jets Saturday, March 30 — Bell MTS Place Game Links Line Chart | Game Live | Game Summary | Event Summary | Play-By-PlayFirst Period: Game Summary |… Continue reading "In-Game Notes: Mar. 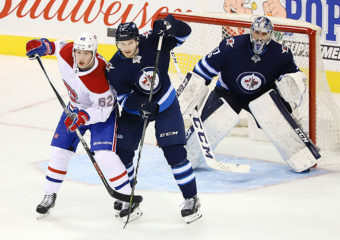 30 vs. Montreal Canadiens"
The Winnipeg Jets play their last home game of the regular season tonight when the Montreal Canadiens visit Bell MTS Place…The Jets are 1-2-0 during the four-game homestand after losing… Continue reading "Game Notes: Mar. 30 vs. Montreal Canadiens"
New York Islanders at Winnipeg Jets Thursday, March 28 — Bell MTS Place Game Links Line Chart | Game Live | Game Summary | Event Summary | Play-By-PlayFirst Period: Game Summary… Continue reading "In-Game Notes: Mar. 28 vs. New York Islanders"
The Winnipeg Jets continue a four-game homestand, their last of the season, tonight when they host the New York Islanders at Bell MTS Place for the only time during the… Continue reading "Game Notes: Mar. 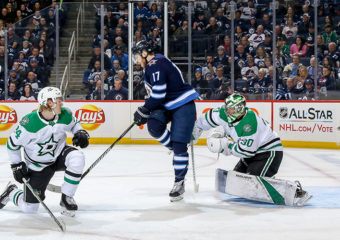 28 vs. New York Islanders"
Dallas Stars at Winnipeg Jets Monday, March 25 — Bell MTS Place Game Links Line Chart | Game Live | Game Summary | Event Summary | Play-By-PlayFirst Period: Game Summary |… Continue reading "In-Game Notes: Mar. 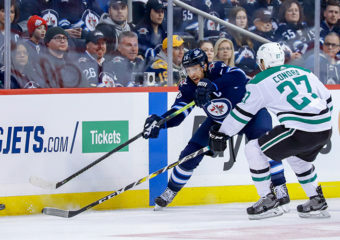 25 vs. Dallas Stars"
The Winnipeg Jets continue a four-game homestand, their last of the season, tonight when they welcome the Dallas Stars to Bell MTS Place…The Jets shutout the Nashville Predators 5-0 on… Continue reading "Game Notes: Mar. 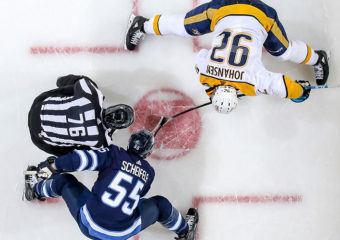 25 vs. Dallas Stars"
Nashville Predators at Winnipeg Jets Saturday, March 23 — Bell MTS Place Game Links Line Chart | Game Live | Game Summary | Event Summary | Play-By-PlayFirst Period: Game Summary |… Continue reading "In-Game Notes: Mar. 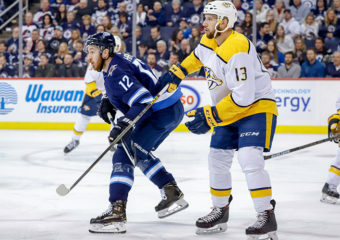 23 vs. Nashville Predators"
The Winnipeg Jets begin a four-game homestand, their last of the season, tonight when they entertain the Nashville Predators…The Jets are coming off a 2-1 Pacific Division road trip, which… Continue reading "Game Notes: Mar. 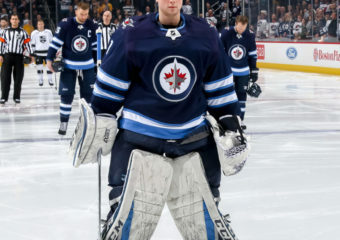 23 vs. Nashville Predators"
The Winnipeg Jets announced today they have recalled goaltender Eric Comrie from the Manitoba Moose under emergency conditions. The Jets have reassigned goaltender Ken Appleby from the Jacksonville Icemen of… Continue reading "Jets recall Comrie from the Manitoba Moose under emergency conditions"